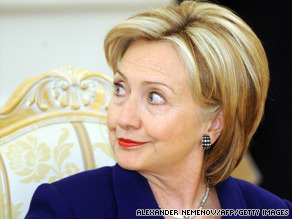 Would Hillary Clinton have been a better choice for Democrats? Looks like some Democrats are having buyer's remorse when it comes to President Obama and wishing they had gone with Hillary Clinton instead. 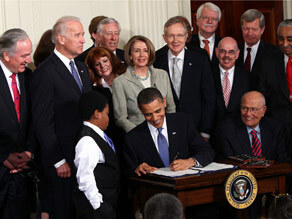 The recent negotiations over the debt ceiling are being seen by many as the lowest point in Mr. Obama's presidency. And it's not just Republicans who are comparing Barack Obama to Jimmy Carter or saying he'll be a one-term president. One Democratic strategist tells the British newspaper The Daily Telegraph that Democrats are worried that the president "looks weak. He doesn't say anything that grabs you, and people are looking for some kind of magic." Apparently some Democratic activists are asking if the party needs someone tougher to fight the tea party. Someone, say, like Hillary Clinton. They point out that Hillary, like her husband Bill Clinton, has tougher political instincts than President Obama. During the 2008 campaign, Hillary Clinton claimed that although then-candidate Obama might be able to inspire the masses, she was the one who had the experience to get the job done. Hindsight is 20-20, but it's easy to see why some Democrats are now nervous about the president's re-election chances. His approval ratings are at or near all-time lows for his presidency and only one-third of Americans approve of how he's handling the economy, which is the No. 1 issue. 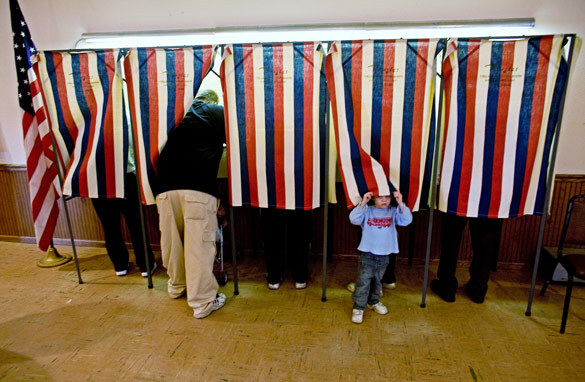 What's more, one recent poll showed 44% of registered voters say they are more likely to vote for a generic Republican in 2012. That's compared to 39% who say they're more likely to vote for Mr. Obama. When you lose in a hypothetical matchup against an unknown opponent, that's not a good starting point from which to seek to be re-elected. Here’s my question to you: Would Hillary Clinton have been a better choice for the Democrats? Do you have faith that elections are honest? In Nevada, there are reports in some counties that voting machines are automatically checking Harry Reid's name on the ballot. It's worth pointing out that the voting machine technicians in one of these counties are members of the Service Employees International Union - a group that's planning to give tens of millions of dollars in this election, most of it to Democrats. Harry Reid is a democrat. In North Carolina - a voter says he tried to vote a straight Republican ticket… but his choices showed up as Democrat. Four times. In Illinois, it's the first election where any registered voter can cast their ballot by mail. But one official says that as many as hundreds of thousands of voters who are planning to get a ballot in the mail could be disenfranchised. Also in Illinois, 36 counties missed the deadline to send ballots overseas - to members of the military and other voters. In Pennsylvania, some residents along with a county Republican committee claim a Democratic congressman is trying to flood the voter registration office with fraudulent applications for absentee ballots. And then there's Florida, without which no election drama would be complete. The Daytona Beach city commissioner and his campaign manager were just arrested and charged with committing absentee ballot fraud. And the election is still almost a week away. Here’s my question to you: How much faith do you have that our elections are honest? Election already over for Democrats? There are only seven days to go before the midterm elections, and President Obama has a quiet day at the White House. Maybe too quiet. On his schedule: only meetings with advisers and Cabinet members. No campaign rallies. No fundraisers. Howard Kurtz writes in "The Daily Beast" that heading into the midterms, the White House feels so beat up by the press and unable to push its own narrative that its gone into "bunker mode." "What's fascinating is the belief that the bully pulpit has been permanently downsized, forcing the leader of the free world to shout for attention in a cacophonous world." And it's not just President Obama who seems to be feeling the pain here. Bill Clinton spoke at a campaign event the other day in a high school gym in Detroit that was nearly two-thirds empty. When was the last time Clinton spoke to an almost empty house? Even some Democrats are voicing their frustration. Frank Caprio, who is running for governor in Rhode Island, says President Obama can "take his endorsement and really shove it." Lovely. This after the president didn't endorse him. And there are plenty of reasons for all this angst among the Democratic Party. The conventional wisdom is that Democrats are in for a real bruising next Tuesday. A new USA Today/Gallup Poll shows Democrats face a record "enthusiasm gap." Only 37 percent of Democrats say they're more enthusiastic about voting this year than usual - compared with a whopping 63 percent of Republicans. Polls also show congressional Republicans holding their lead in generic ballot match-ups against Democrats. Here’s my question to you: Is the election already over for the Democrats? Things in Washington different after midterms? The old definition of insanity is doing the same thing over and over again, expecting a different result. We are on the verge of giving control of at least one house of Congress back to the Republicans. Gee, that worked well the last time, didn't it? And the Democrats, who have had the Congressional ball since 2006, have done what – exactly? End the wars? No. Fix the economy? No. Run up the national debt? Oh hell, yes. Speaking of the Democrats, while party leaders insist they will keep control of the House, most experts will tell you otherwise. But either way, House Speaker Nancy Pelosi could lose her job. If the Democrats lose control of the House, Pelosi is toast. But perhaps more interesting is even if Democrats keep control with a very slim margin, which is the best hope for them, Pelosi could still be ousted as Speaker. Several Democrats have already said they would vote against her. In any case, it's quite possible that a week from tomorrow the voters will bring some big changes to the political landscape in Washington – or will they? At the end of the day, we just keep electing a different version of the same losing proposition. It's like deciding whether to hit yourself in the head with a hammer or a baseball bat... the results are pretty much the same. Here’s my question to you: How will things in Washington be different after the midterms? Interested to know which ones made it to air? How concerned should Dems be about losing the House? When it comes to November's midterm elections, the writing on the wall is not looking good for Democrats. A new Gallup poll shows Republicans with an unprecedented 10-point lead over Democrats - 51 percent to 41 percent - on the generic ballot question. That's the Republicans' largest lead in the 68 years Gallup has taken the generic ballot poll. Then there's this: Republicans are twice as likely as Democrats - 50 percent to 25 percent - to say they're "very" enthusiastic about voting. Gallup suggests all this could mean a major "wave" election - where Republicans win enough seats to take back control of the House. To do that, they would need to win 39 seats. Some think it could be even worse for the Democrats. A political science professor at the State University of New York - who has a good record of predicting presidential elections - says the Democrats could lose about 51 seats in November. Even a growing number of Democrats now say in private they think the House is already lost. As one Democratic strategist tells Politico - the Democrats are out there talking about Iraq and President Bush, while Americans are worried about the economy and their jobs. Some Democrats are also frustrated that the White House has been focusing on the wars and issues like the mosque and Islamic center near Ground Zero... instead of the economy. But other Democrats - including House Speaker Nancy Pelosi - insist they'll hold onto their majority. Gallup points out that Democrats did lead in the generic ballot earlier this summer; and there's always the chance that could change again before Election Day. Here’s my question to you: How concerned should the Democrats be about losing the House in November? 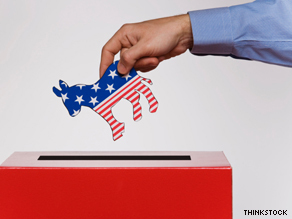 Is this year's anti-incumbent fever for real? 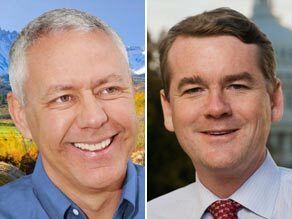 In Colorado, Republican Ken Buck is challenging incumbent Sen. Michael Bennet. After months of taking a beating, the Democratic party finally got some much-needed good news in yesterday's primaries. The biggest victory came in Colorado, where Michael Bennet, the candidate backed by President Obama and the party establishment, won handily. After backing several candidates who went on to lose this primary season, the president may have needed this win more than anyone. Yet, as Politico reports, the best news for the Democrats may have actually come from the Republicans' results – with the GOP nominating candidates who are either vulnerable or plagued by gaffes and scandal. Take for example, Ken Buck who will face off against Bennet in Colorado. 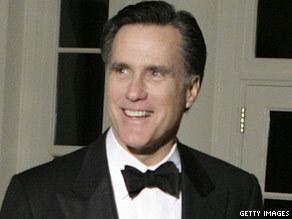 He was backed by the Tea Party but opposed by much of the national GOP leadership. Running against a woman, he was caught on tape saying he should be elected because he doesn't wear high heels. Moron. In Connecticut, Republicans nominated Linda McMahon for the senate race whose main claim to fame is a big bank account and a past association with professional wrestling. In Minnesota, Republicans chose Tom Emmer, who is off to a rocky start after suggesting the minimum wage be altered to take tips into account. And in Nevada, Harry Reid has actually pulled ahead in the polls after his Republican opponent has repeatedly shot herself in the foot by saying one stupid thing after another. Yesterday's primaries also raise questions about whether the whole narrative of the 2010 elections is true. The anti-incumbent, angry electorate ready to dump insiders may not be the case after all. 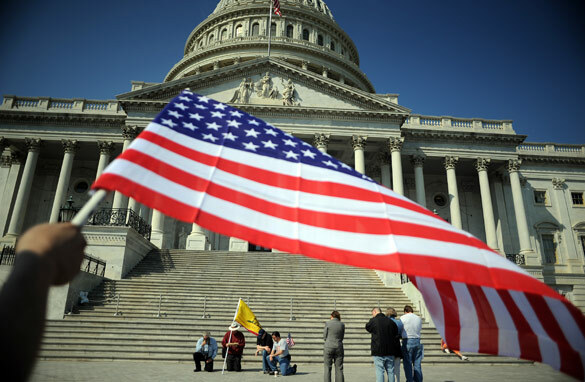 While Congress' approval rating remains in the toilet – 19 percent according to Gallup's latest poll – the people who make up that Congress continue to be re-nominated. Here’s my question to you: Is this year's anti-incumbent fever for real?